Discussion in 'Lexus Lounge' started by krew, Jul 10, 2018. So, it'll be the first time they show the UX not sitting still? ...why? Why would you put a 170hp microcrossover through a world-renowned course/track event? Joaquin Ruhi and ssun30 like this. You got it! Dynamic World Premiere! Because it's a hill climb, and crossovers are supposed to look tough. (And I'll guarantee you that's exactly Team One's thinking). TheNerdyPotato and Gecko like this. Wouldn't that be this type of hill climb - the unpaved sort? Levi, ssun30, TheNerdyPotato and 1 other person like this. Have to agree Why? I suppose any publicity is better than none but why is this car even at Goodwood festival of speed. Anyway pleased that it is arriving the sooner the better. It is the Goodwood Festival of Speed. Don't see how a vehicle that is not designed for 'speed' fits there. I kind of agree Lexus is embarrassing itself by showing the UX (especially alongside other F cars) here. What are they even trying to achieve here? Gecko and Joaquin Ruhi like this. Ian Schmidt, TheNerdyPotato, Trexus and 1 other person like this. Whose idea is this? Looks like someone wants to get fired. Yay! Finally a thread where I disagree with everyone! This is, above everything else, a marketing stunt. 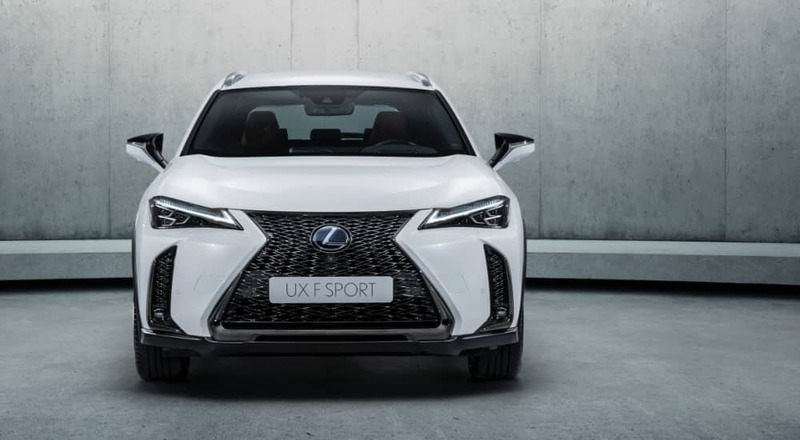 It is all about showing the new model, and Lexus is far from the first to show a non-performance model premiering at Goodwood. I think showing it there is a good choice because it shows confidence in the driving dynamics. 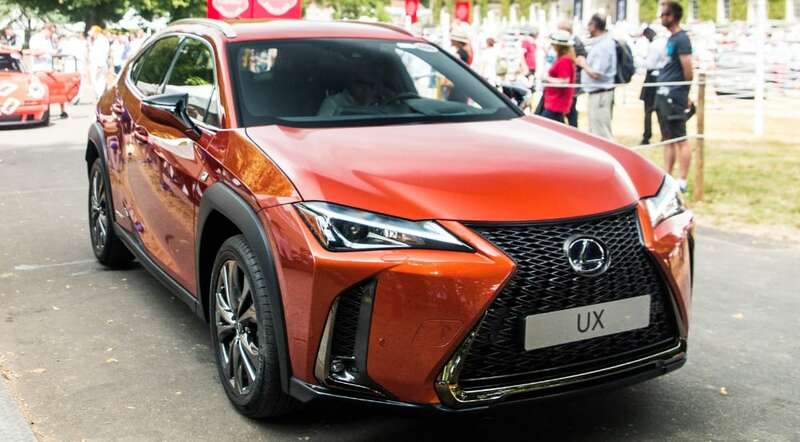 Lexus would not go near Goodwood with a model that couldn't take the corners properly. It is important to show the UX as being a worthy successor for the CT. Remember that the CT was initially branded as a better looking Prius with improved interior and driving dynamics at the cost of the higher price, slightly lower fuel efficiency and less versatility. I remember this fondly since I was one of those who traded a Prius for a CT. I know that the UX doesn't outright replace the CT in all markets, but with the CT remaining the same as in 2011, it is a hard sell for anyone who wants to trade an old CT in. And why would I trade my CT in for a new one? My old one is just as fuel efficient, completely reliable and otherwise the same. If the UX can offer an upscale interior, improved versatility, equal fuel economy and no disadvantage in driving dynamics, then it would be a better replacement candidate. We already know the interior is amazing for its class. The only outstanding question is driving dynamics. GSCT, SteVVT-i, Levi and 4 others like this. Agreed. It's a marketing stunt. And people are hungry to see it in action, since Lexus has only shown it stationary at auto shows. Making its first appearance outside a car show. I really really REALLY like this color. LDeleuran, Trexus, Joaquin Ruhi and 1 other person like this. Yeah, that's a great color! Yea you're right. I think because this site everyone is enthusiast first, many can't really see these moves or "strategies" from anything other than a enthusiast's lens, even though it should be better viewed from a marketing perspective. 170 HP is not bad for such a small car. CT 200h is not powerful enough to be attractive compared to a 170 PS A3 2.0 TDI for example. The UX quite nice for a useless type of car that I dislike. I like the flush integrated rear door to bumper, some other car makers have the same execution, but from a practical point of view, bumpers which already do not have their function anymore, now in addition to damaging the plastic bumper, even the metal door would be damaged in case of a slight bump. We would not need parking sensors and rear view cameras if bumpers functioned as they initially were intentioned to. It seems like most of the F-Sports we've seen (even some stock photos) don't have a moonroof It would be great to see a small CUV like this with a pano roof! There was the 210 PS 2.0l Biturbo Diesel Ford Ranger Raptor. Also Rolls Royce Cullinan. GFOS is a marketing event, as much as any other car event nowadays. Toyota/Lexus use the SEMA show for marketing too. PP Hill Climb is also used as a marketing event now. Nothing wrong with that finally. There is nothing really dishonest about it.